Electric cars, robo taxis and self-driving trucks are coming to change the society we live in—possibly sooner than you think. Limited tests of driverless cars are already happening today and they’ll be in use everywhere within six years, according to Carlos Ghosn, CEO of the Renault Nissan Alliance. A change on that scale would reach far beyond the automotive industry to upend businesses, transform our daily lifestyles and reshape cities. Even if the skeptics are right and the technology necessary for full level-five autonomy develops more slowly, the revolution could still claim many victims. In a future where anyone is able to summon a cheap driverless pod at the click of a smartphone button, the line between public and private transport would start to blur. 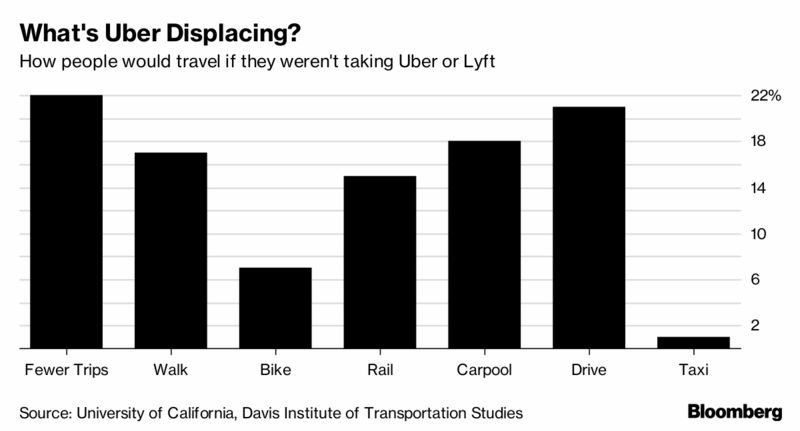 Ride hailing services such as Uber Technologies Inc. and Lyft Inc. are already reducing demand for public transport across the U.S., according to a study from the University of California, Davis. People use ride hailing apps instead of taking the train, driving, cycling or even walking. Removing human drivers from the equation could make those services even more affordable and convenient compared with trains or buses following fixed routes. Dwindling passenger numbers could ultimately starve public transit of investment. In the U.S. people often fly between or even within states, but autonomous technology could make car journeys a more pleasant and productive alternative. The impact could be similar to Japan’s bullet trains, which diverted passengers away from airlines. Today more than 90 percent of road accidents are caused by human error, so once you take people out of the equation safety will probably improve, said David Williams, technical director at insurer AXA SA. Initially, there could be two types of insurance—one for manual cars and one for autonomous—with premiums for the latter eventually falling as much as 50 percent, Williams said. Tailgate parties, political bumper stickers, bored teenagers cruising the byways of small towns—all these could become things of the past as cars change from prized possessions to on-demand utilities. 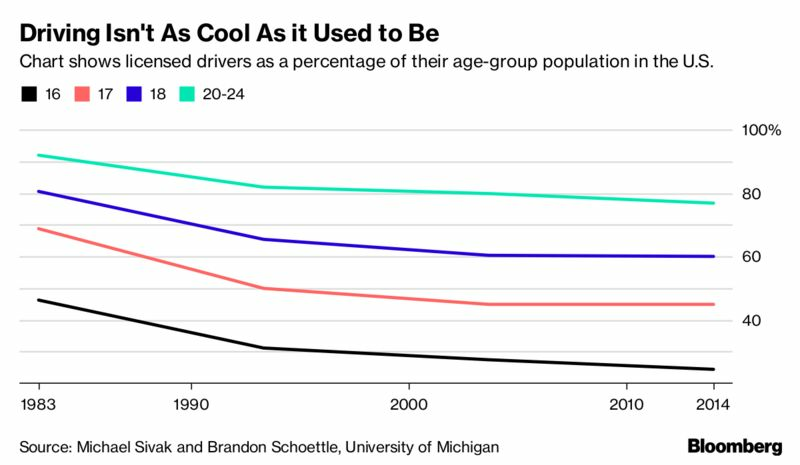 Fewer young people are already learning to drive in the U.S., citing the cost of owning a car and ability to share rides as key reasons, according to a study by the University of Michigan. If that generation eventually loses the need to drive altogether, the link between American popular culture and car ownership will wither. Cloud-connected vehicles with advanced computer brains won’t just drive themselves, they’ll be able to communicate with other cars, traffic signals or emergency services. Even if the number of cars on the road increases, these systems could speed up city traffic and reduce jams by rerouting flows away from accidents or repricing toll routes. They might also curb the daily rush hour by allowing employers and local governments to encourage more flexible working hours. Some of the most hated people on the planet may soon find themselves out of work. If shared driverless cars constantly patrol the streets awaiting a ride before returning for storage in centralized depots, rather than parking on the street, there’ll be little need for parking enforcement officers. Even those that do seek street parking would have an advantage over humans. 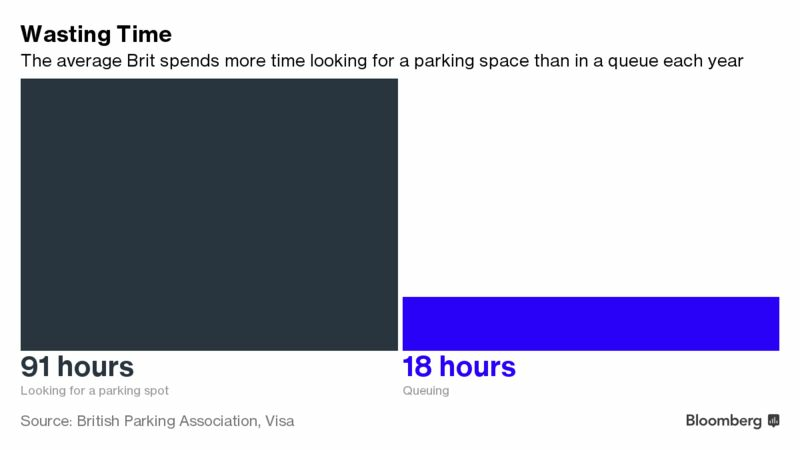 The U.K. tech startup AppyParking, which features a map of parking spaces in 11 cities, says it could also allow driverless cars to find a spot easily. Autonomous vehicles may not be a such a bad thing for long-haul truckers, because the industry is already facing a worsening shortage of drivers, said Evans. 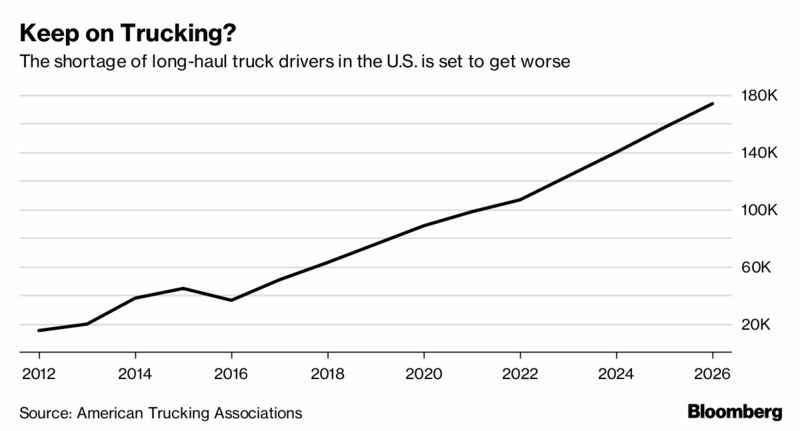 In the U.S., fewer young people want to do the job and the average age of drivers is 49, so within 10 years many will be close to retirement, according to the American Trucking Associations. Before that happens, self-driving technology could make the job less stressful. 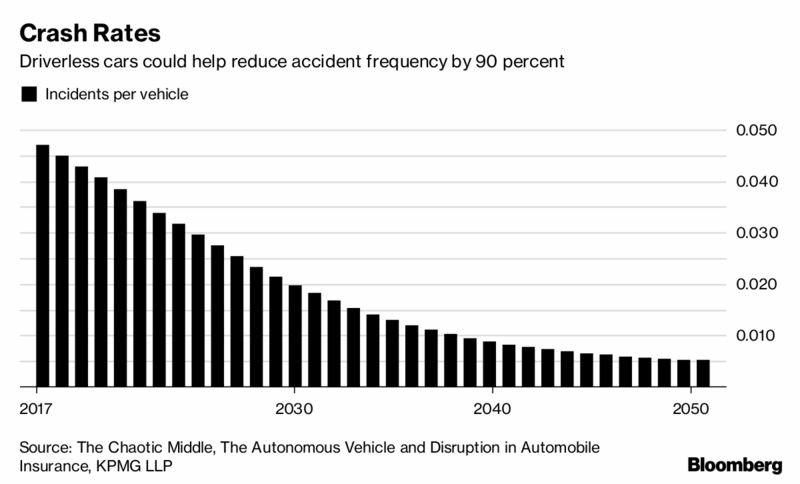 Auto repair shops may grow to hate the sight of autonomous battery-powered cars, on the rare occasions they actually encounter them. 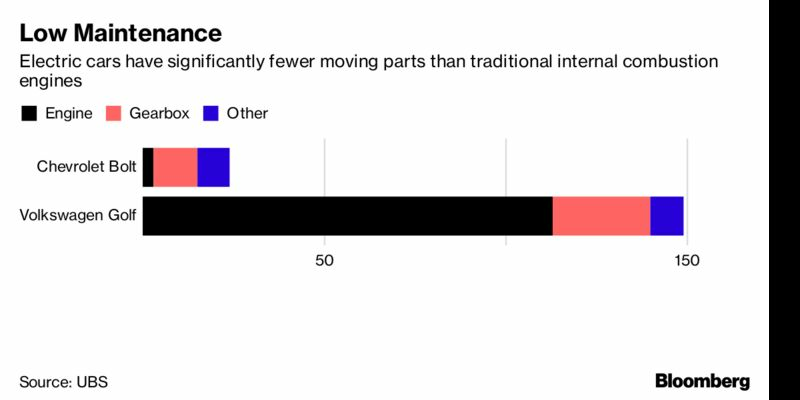 Many of the common repairs for gasoline-powered vehicles—replacing spark plugs or engine oil—simply won’t be needed for electric motors. They’ll still have tires and brakes that suffer wear and tear, but the lack of a combustion engine makes a big difference. Analysts at UBS Group AG who stripped down a Chevrolet Bolt concluded that it doesn’t require any maintenance for the first 150,000 miles it drives, compared with servicing every 10,000 miles for a Volkswagen Golf. Fewer bumps and scrapes caused by human error also mean lower demand for repairs to headlights and body panels. 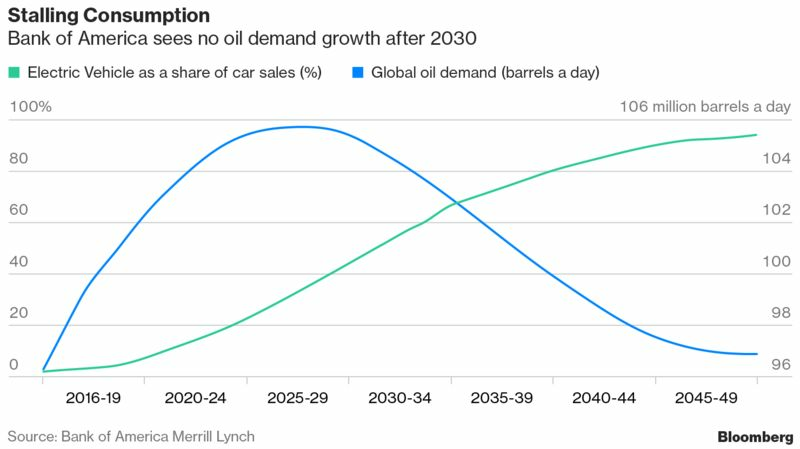 Rapid adoption of electric vehicles could mean oil demand peaks in just 12 years, according to Bank of America Corp. That would send shockwaves through an industry that’s counting on consumption growth for decades to come. Some major producers, such as BP Plc, are already acknowledging the possibility that some oil resources will never be needed. This scenario raises difficult questions for Saudi Arabia, which has more than 70 years of crude reserves and hopes to achieve a IPO valuation of more than $1 trillion for its national oil company later this year. For Netflix Inc. or Nintendo Co. Ltd., time currently spent driving could be opened up for movies or games. Electric utilities in developed countries would see soaring demand after years of stagnating growth. For law enforcement, 3D sensors and high definition cameras would potentially make each vehicle a roving spy able to determine fault in an accident, witness street crime or spot suspicious patterns of behavior.